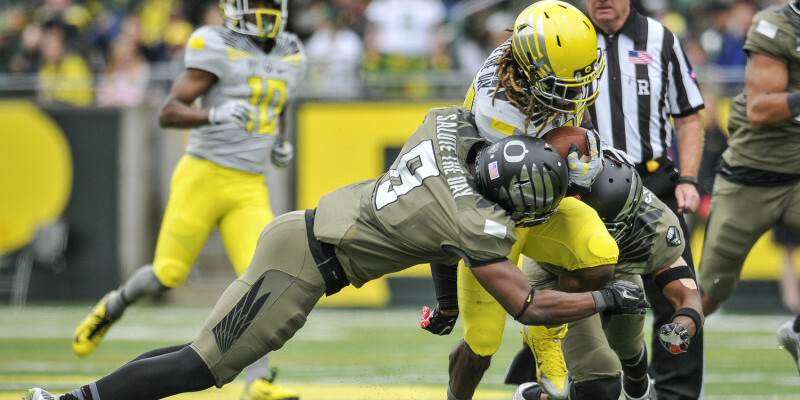 The Oregon Ducks open spring football practices on Tuesday, and the team is bound to look a little different from the dynastic dynamo that came up one game short of a national title in January. Gone are Heisman field general Marcus Mariota and line anchor Hroniss Grasu. Here to stay (hopefully) are a slew of fresh faces headlined by line-beasts Canton Kaumatule and Zach Okun. As we’ve come to expect, first with Chip Kelly and now under the watchful eye of Mark Helfrich, the football team is moving at warp speed, but as we’ve also learned from those two, there’s some order in the chaos. 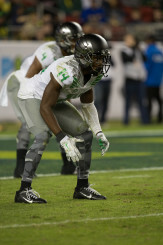 The Ducks recruited shrewdly rather than frantically again this year, and though Autzen Stadium seems almost empty without the commanding presence of last year’s seniors, it will return to the same philosophy that kept the team winning through a plethora of injuries last fall: Next Man Up. The hype surrounding Eastern Washington QB and proven dual-threat Vernon Adams has subsided somewhat since he announced his intent to attend Oregon after graduating from EWU this spring. That’s a good thing, since he won’t be around to get acquainted with Ducks new and old next week. 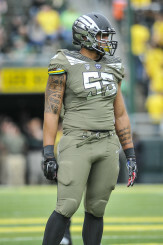 In fact, not only will he not be working out with Oregon, he won’t be working out with a college football team at all. Eagle Head Coach Beau Baldwin ousted Adams from EWU practice when Adams made his plans public, since the Eagles are on Oregon’s schedule next year. That means Morgan Mahalak and Mariota’s backup Jeff Lockie are up to bat, both to simulate a realistic Oregon attack for the 1st string defense and to be ready if called upon to play a game or two in the early season. Olomu Island is not as pleasant as it sounds. Facing those two down will be highly touted D-lineman Kaumatule, Oregon’s sole 5-star recruit of this year’s class and a body that hopes to be big enough to fill the yawning void left by departing lineman Arik Armistead, and DB Ugo Amadi, whose none-too-enviable task includes patching the vacuum Ifo Ekpre Olomu left with his departure for the draft. Those two will likely be the most important areas to watch come August, as they’ll be up against similarly young kids in spring, and won’t have a chance to face the high caliber talent they can expect in Pac-12 (and hopefully post-season) competition until later.